We are delighted to confirm that Rimrose Valley has become home to an exciting new art installation. A joint venture between Rimrose Valley Friends and the Liverpool Independents Biennial team, the “Environmental Land Art Trail” is set to run throughout the renowned arts festival from 14th July to 28th October, 2018. The exhibition features work created by local artists who are especially passionate about the environment, using only natural and recycled materials and will range from informative trails to more physical pieces. Many of you will already have noticed one or two of these taking shape… others may even have been and gone! This is because the trail will evolve over the course of the Biennial. In addition to the exhibition on Rimrose Valley, we will also have a ‘hub’ in the St John’s Shopping Centre for two weeks, beginning Thursday, 9th August. This is particularly important to our campaign, as it brings the message of what is happening in our part of North Liverpool to a city centre location and therefore a wider audience. We hope that the hub will become an exhibit in itself, as we wish to convey how devastating the proposed road will be to all those who visit. We urge you to come along and visit the hub and to encourage others to do the same. 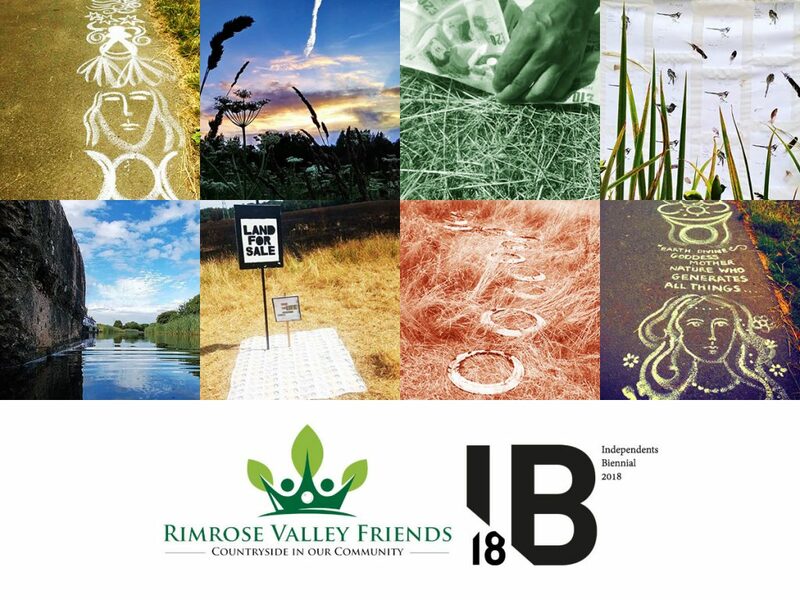 Being associated with such a prestigious event can only help highlight our campaign to save Rimrose Valley and we would like to thank both the Independents Biennial team and all contributing artists for making this happen. They have given up their time for free, which is an incredible demonstration of what places like this mean to the people who live in the communities which surround them. Confirmed artists include Alice Lenkiewicz, Alison Little, Jay Wheeler, Sarah Nicholson, Karen Evans, Nicole Bartos and Sarah Jane Richards. Please note that we cannot guarantee each installation will be in situ on your visit. Installation and removal of the artwork is entirely at the artist’s discretion. We hope you understand and can appreciate the effort by all involved.